Bimmers Only is your one-stop-shop for quality BMW body repair work. With two auto body shops located in Dallas and Plano, we put convenience, service and trained expertise first. Backed by a commitment to customer satisfaction, Bimmers Only offers an unmatched combination of factory certifications, insurance industry expertise and commitment to quality. In fact, we are factory trained by BMW of America. Boasting the most qualified and trained staff in the industry, we provide a wide variety of auto body repair services to address anything from dent and dings to full collision repair and auto paint. If you’re looking for attention to detail from the area’s most professional, courteous, and efficient technicians, Bimmers Only should be your first call. A premier body shop in Dallas and Plano, we service all BMW and Mini Cooper makes and models. In addition to exceptional body shop work, we also handle all the other details that help your vehicle run smoothly, such as oil changes, retrofits and brake repair. Don’t trust just anyone with your BMW. Come to the technicians who have a deeper understanding of what’s going on with your BMW. 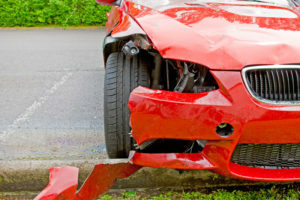 We know that the effects of an accident can run deep, affecting not just the look of your car but its structural integrity as well as its safety and mechanical systems. It’s not always enough to repair the site of impact. You need someone who works on BMWs every single day to diagnose and repair the issue the right way. To book your appointment for collision repair, call Bimmers Only in Dallas at 469-585-7718 or in Plano at 469-585-7754. We look forward to servicing your BMW or Mini Cooper!